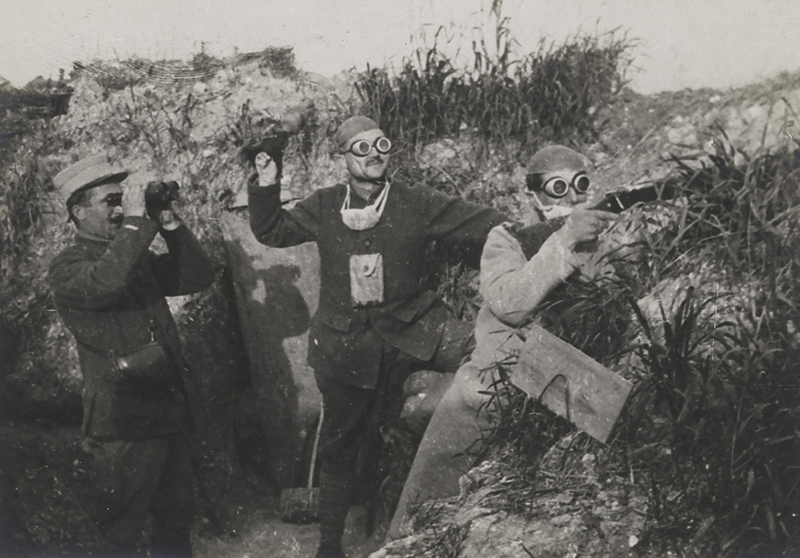 The Germans started their chemical warfare program as early as 1915. It was during the Second Battle of Ypres that during their first chlorine attack on 22 April 1915, the Allies discovered the so-called “vagues gazeuses dérivantes” or slow-moving gas clouds. After the shock of surprise wore off, the Allies quickly developed countermeasures such as gas masks and their own gas warfare capability. As the use of poison gas released from pressurised cylinders depended greatly on wind speed and direction, artillery became the main vehicle for releasing gases in order to avoid self-inflicted gas reversals. In Verdun, the first gas bombardment took place in March 1916 against the French who retaliated with the same type of munitions a few months later. 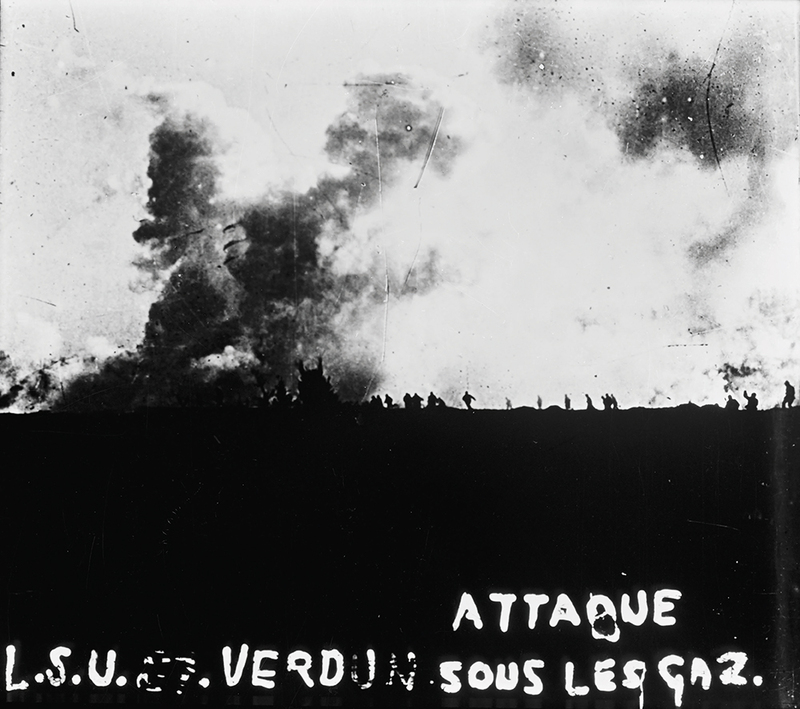 During the German offensive of 23 June, the Germans fired some 100,000 shells containing phosgene gas, a new poisonous gas that ended up hovering over the ravines used by the French for their troop rotations. The poisoning of the atmosphere, the necessity to wear a gas mask and the suffering endured by the soldiers exposed to gas added to the true horror of the battlefield. 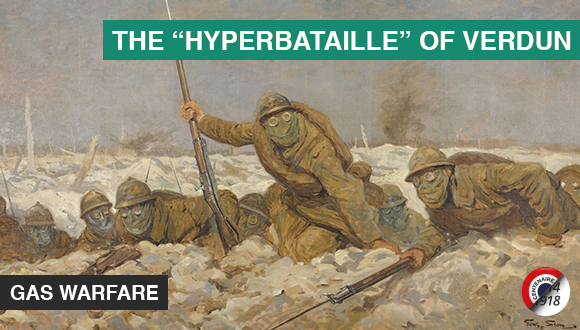 For all soldiers, flamethrowers, shrapnel and gases had the same terrifying connotation. 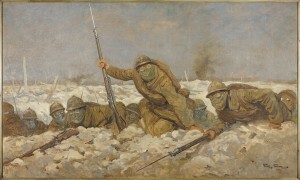 Gas warfare had undoubtedly a major psychological impact on the soldiers, but only started to become effective with the massive use of mustard gas by the Germans during the Battle of Passchendaele in July 1917, a gas called by the French Yperite (named after Ypres where the battle took place).